Hello, friends! Today I am joining Simon Says Stamp and celebrating their Cherished release (I’m sharing more about this release and blog hop below). 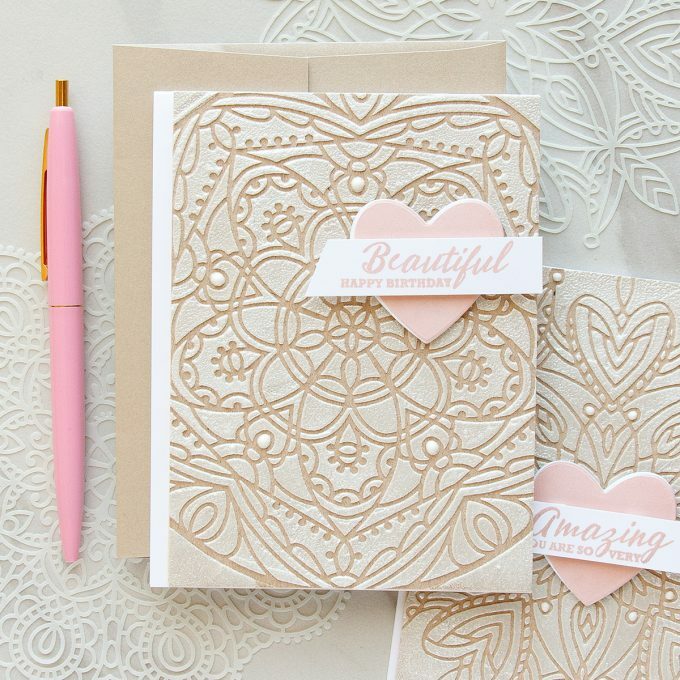 I loved loved loved the new stencils from Simon – so detailed, so dainty and oh so perfect. There is a lot one can do with stencils, a lot of wonderful techniques to play with and a lot of different looks to achieve. I went with simple and easy to do technique: stencils + texture paste + embossing powder. I filmed a quick technique-only video tutorial for these cards. I’m hoping you’ll enjoy it. Watch it below or on my Youtube channel. 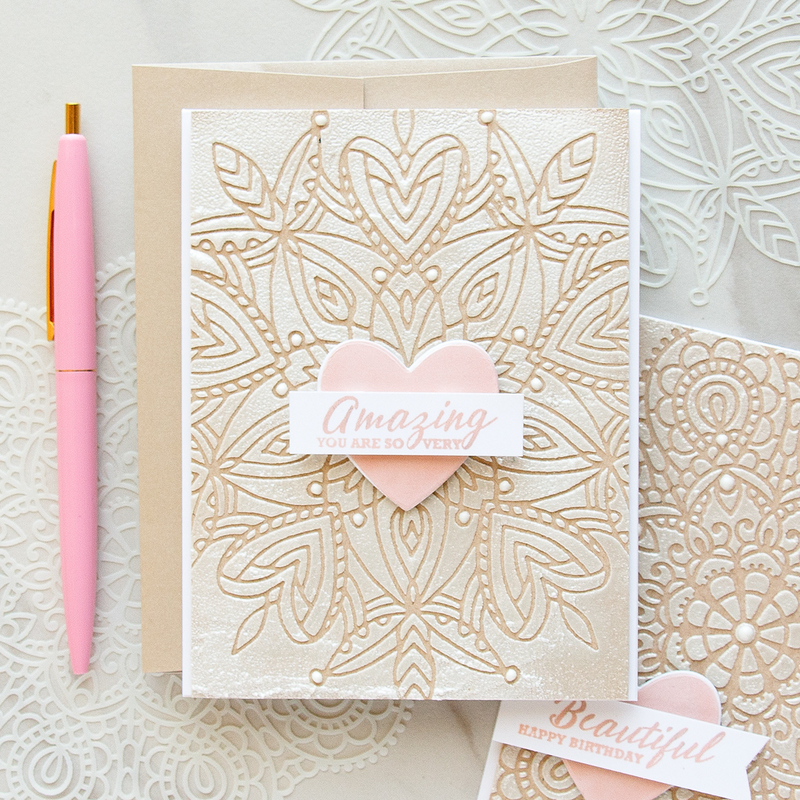 The new stencils reminded me of lace, of beautiful white lace on bare skin, and that is what inspired cards I am sharing in this post. I used all 3 for my projects, but I loved Star Medallion the most for this particular technique. 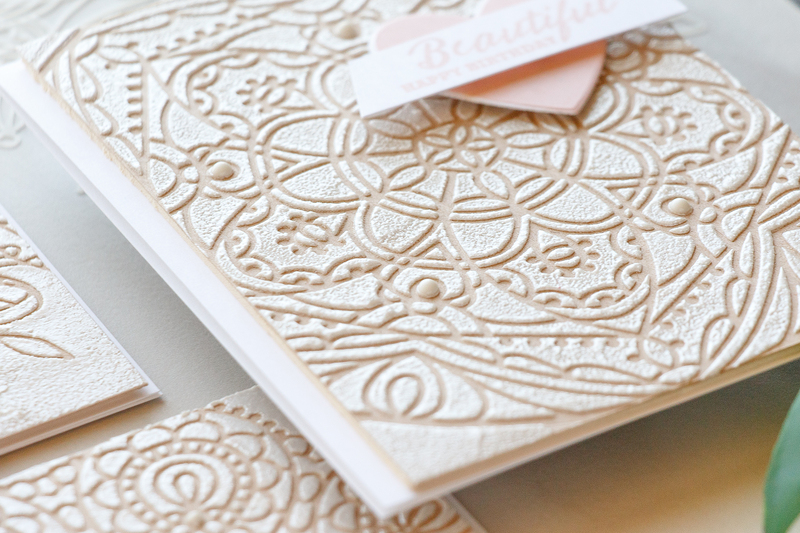 The first thing I did when making my cards is dry embossed my kraft panel in my die cutting machine. You don’t have to do this, I am not really sure if it adds anything to the overall look, maybe just a tad bit more dimension, I’m not sure it’s noticeable enough to go through the trouble of doing it. 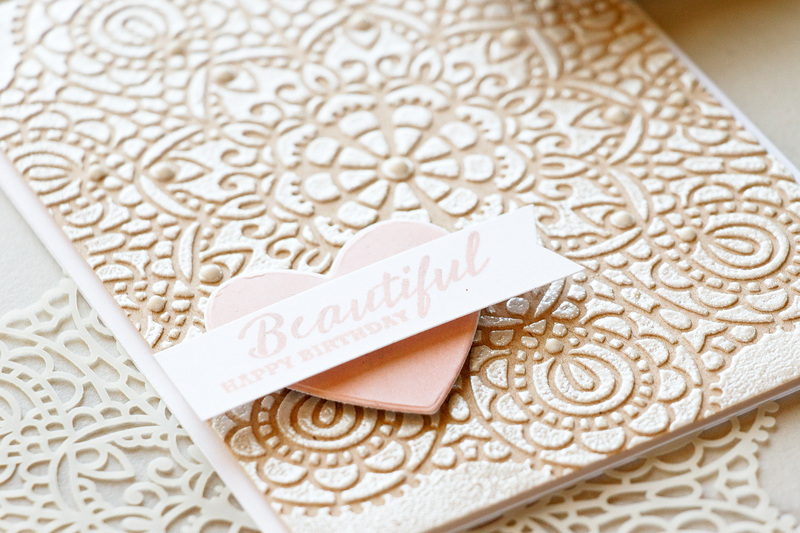 I also did dry embossing using one of the stencils on the card I shared yesterday and there you can really catch all of the texture and detail it created. I re-aligned my stencil on the paper, taped it in place and added texture or embossing paste through the stencil onto the paper. 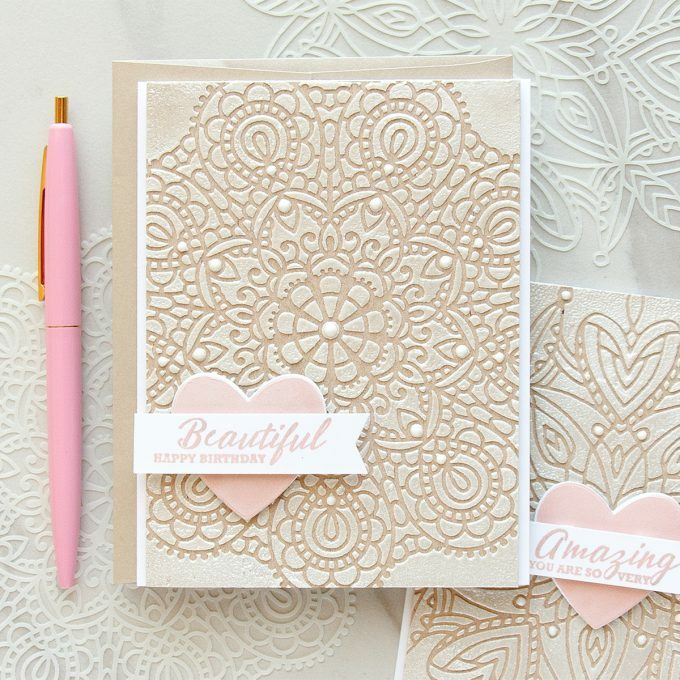 You’ll want to cover the entire surface of your papers with this paste, you can also do partial coverage and in that case that dry embossing would look really neat because it will actually show on the non-covered part of the panel. I removed the stencil, took it the sink and washed it along with the palette knife I used to apply the paste. Next I covered entire panel with Hero Arts White Satin Pearl embossing powder. This is a very beautiful pearlescent powder. You’ll need to wait for the paste to dry to have best results before heat setting the powder. It might take an hour or a few hours depending on how thick you applied it. If you heat set it right away the paste will bubble up. Watch my video to see what I mean. To complete these cards I used the Sketch Ranunculus stamp set (for the sentiment) and new Big Perfect Shape stamp and coordinating die to stamp and die cut the hearts for my cards. I used Simon’s Pale Blush Pink ink for my stamping. Please join us for a blog hop filled with amazing inspiration! The next on this stop is Shari Carroll. You can also start at the beginning on Simon’s Blog. Simon is giving away a prize package worth over $25 to every stop on the hop! Please leave a comment below and let me know if you enjoy using stencils, if there’s a technique you love the most – mention that too, please! Winners will be posted on Simon Says Stamp blog on Tuesday. OMGosh, these cards are AMAZING and elegant looking! What a beautiful technique! Such a great technique! Thanks so much for sharing! Very beautiful cards. I was curious to see how you made this beautiful cards. 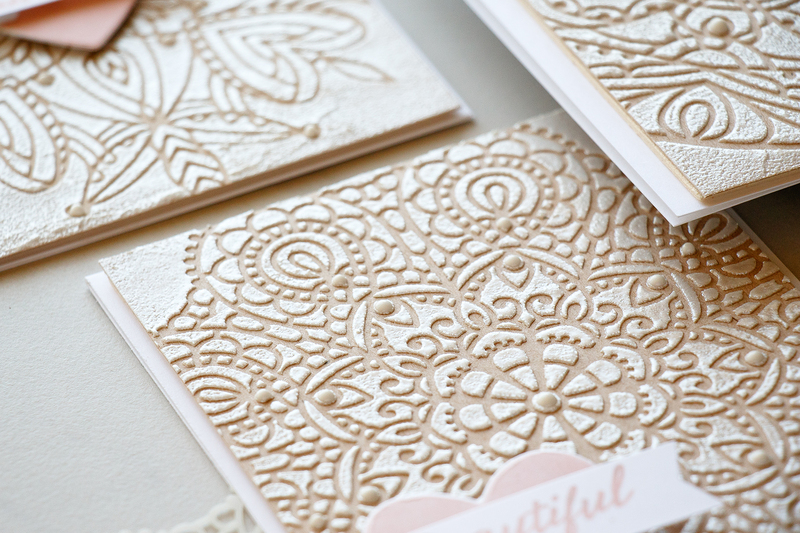 I have used the texture paste before through stencils but never knew to add embossing powder! Now I can’t wait to try it out. The new stencils from SSS are beautiful! Your cards are lovely! The satin embossing powder over the embossing paste looks so elegant, thanks for sharing! I’m not a big stencil user but all these ideas and inspration is reallt making me want to use them more! Such cute elegant cards! Love the colors, techniques and texture used. 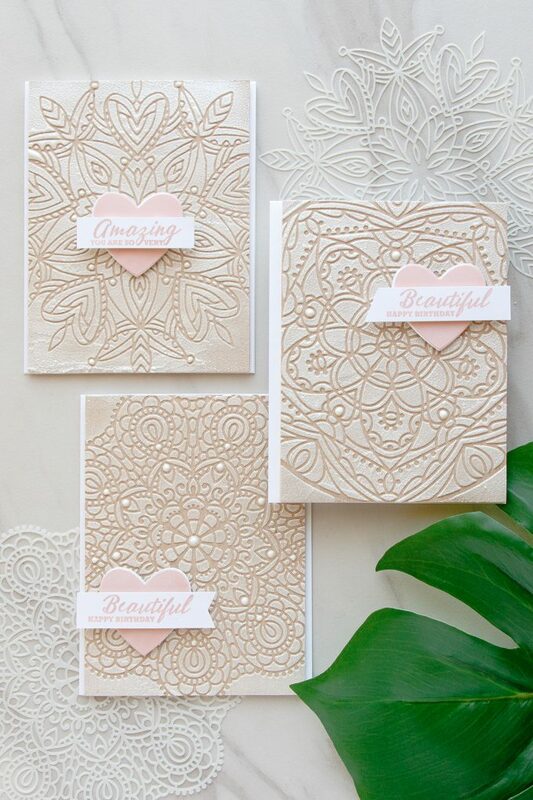 Very beautiful and elegant cards. Wow! These cards look soooo sophisticated! I love the colors used. They look very elegant. Thanks for sharing! WOW! 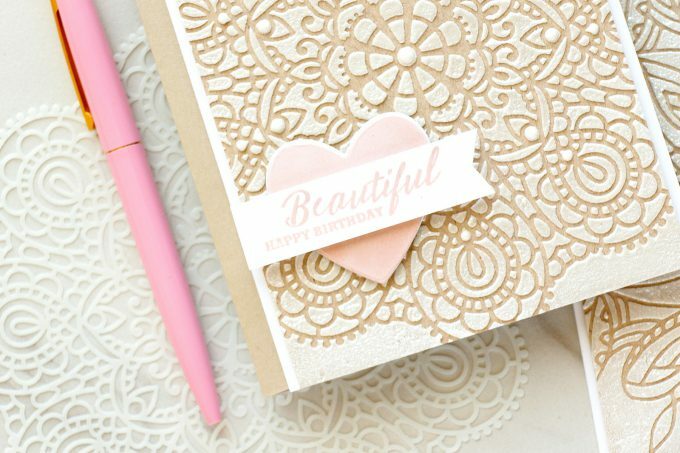 I love, love, love your beautiful card! !Awesome textures! Beautifully done! 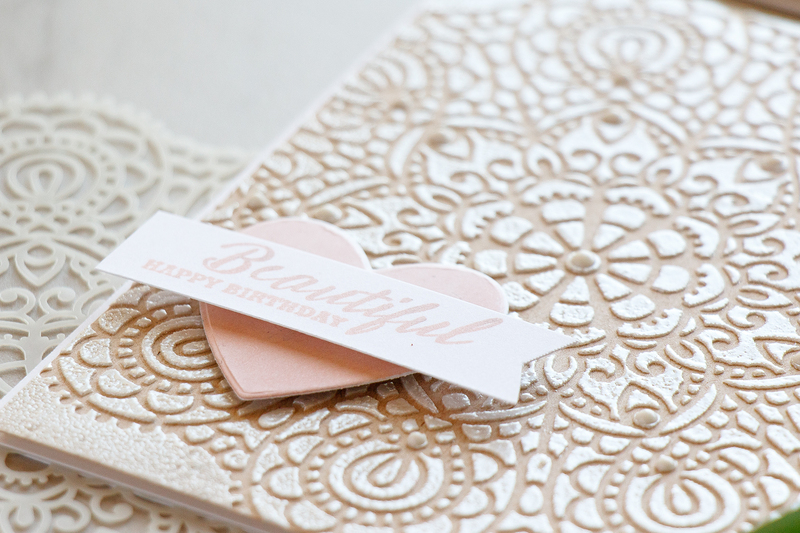 These cards are so pretty and I love the soft colors. Stencils are very popular now and I have to get some for my collection. Thanks for sharing. 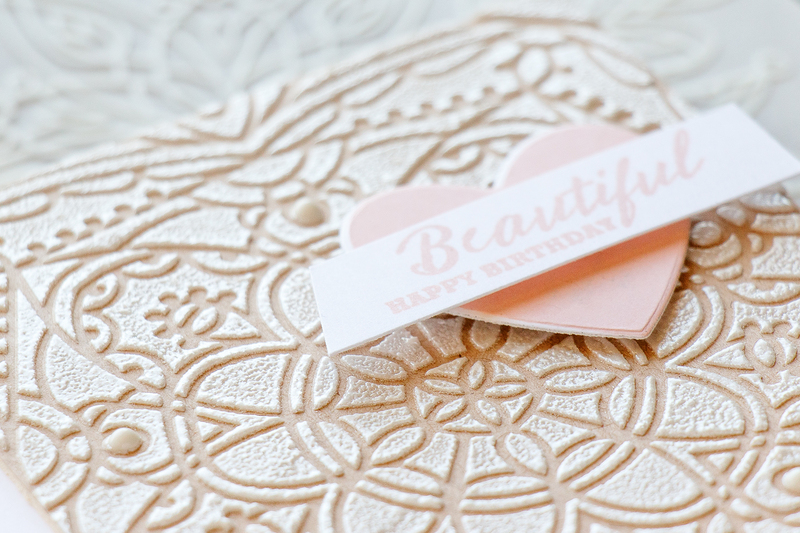 Love the softness in this card.. I should try this one. Absolutely stunning cards! 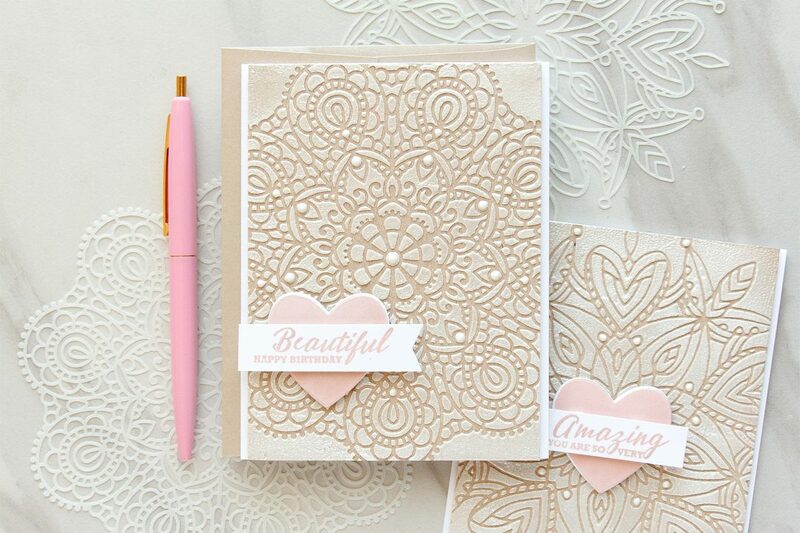 I love the softness of the colors with all the texture from the stencils! Lovely cards to give as part of a wedding gift! What a beautiful technique – love it. I Luved your video so much it has inspired me to make soft n delicate wedding cards,some gentle baby announcements and also some beautiful just because cards to my wonderful friends! I ABSOLUTELY LOVE using stencils with embossing paste. It’s one of my favorite techniques. Very intriguing card, I love it. Gorgeous card, thank you for the inspiration! I have not used stencils, but, after seeing these beautiful cards made with those beautiful stencils, I might have to re-think that. 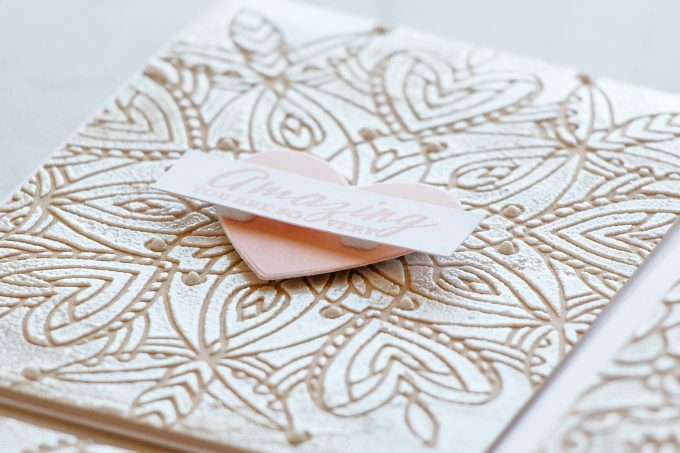 While watching the video, I wondered if you could possibly dab Versamark ink over the stencil onto the cardstock, then pour embossing powder over that. Thank you for sharing this technique.